The revocation of your Medicare billing privileges can subject your practice to financial ruin! (December 14, 2017): The Centers for Medicare and Medicaid Services (CMS) has engaged various types of outside contracting entities to perform program integrity functions on behalf of the Medicare program. At the present time, Uniform Program Integrity Contractors (UPICs) and Zone Program Integrity Contractors (ZPICs) are very aggressive when it comes to referring evidence of potential fraud to federal law enforcement agencies, primarily the Department of Health and Human Services, Office of Inspector General (HHS-OIG) and the U.S. Department of Justice (DOJ). In matters where fraud is not apparent but it appears that other improper conduct has occurred, UPICs and ZPICs are actively recommending to CMS that adverse administrative actions (such as the revocation of your Medicare billing privileges), be taken. As the General Accounting Office (GAO) noted in its August 2017 report entitled “CMS Fraud Prevention System Uses Claims Analysis to Address Fraud,” the administrative actions recommended by these program integrity contractors typically range from prepayment review to revocation. To participate in the Medicare program, a provider must typically complete either a CMS-855A, CMS-855B, CMS-855I or CMS-855S enrollment application, each of which requires that the provider disclose their practice or office address. Notably, a provider may also provide documentation of its “practice location” with its enrollment application. Once a provider has enrolled in the Medicare program, any changes to the provider’s enrollment information must be reported within a strict timeframe. For example, a change in practice location must be reported within 30 days. Among their various duties, Medicare Administrative Contractors (MACs), UPICs and ZPICs are required to periodically perform site visits in order to verify that a provider is operational, that the provider’s enrollment information is accurate, and that the provider is in compliance with applicable Medicare enrollment requirements. To accomplish this, the CMS contractor will normally inspect the “qualified physical practice location” given by the provider or supplier that is currently in file with the MAC. See, e.g., JIB Enterprises, LLC, DAB CR3010, at 9 (2013). III. What Occurs if a Medicare Contractor Believes that a Provider is Not Operational? Therefore, if a UPIC or ZPIC were to visit the location of your practice (as then listed in Medicare’s records) and were to find that the practice or office were closed, the contractor would likely take the position that your organization is not operational. A. Non-Operational Due to Change in Location Without Proper Notice. We have handled practically every permutation of this scenario that you can imagine. The most common facts have involved a provider or supplier who moved offices and failed to notify their MAC. As luck would have it, a UPIC or ZPIC contractor conducted a site visit, found that the practice location on file was closed or empty, and concluded that it was not operational. The contractor then recommended to CMS that a revocation action be pursued. In several instances, the provider and / or the provider’s office manager was willing to swear that written notice of the change in location was, in fact, sent to the MAC. Unfortunately, unless the provider can provide proof that notice was given by Certified Mail, Return Receipt Requested or other trackable mail service, these cases have been an uphill battle in the administrative appeals process. In other cases, a provider has been able to show that written notice was given, in a timely fashion, to state regulatory authorities. In at least one case, a provider argued that the MAC was provided proper notice through the Cost Report process. Unfortunately, proof of such notice was not provided to the Administrative Law Judge so no ruling as to adequacy was issued. The bottom line with respect to notice is fairly straight forward, timely notice of a change in practice location must be provided to the MAC, on the proper form and within the proscribed time limits. Moreover, as with all communications to a CMS contractor, it is imperative that proof of submission and receipt be maintained. B. Non-Operational Due to Closed or Non-Staffed at the Time of the Site Visit. From a practical standpoint, a provider doesn’t necessarily have to change its practice or office location to be found non-operational. We have handled multiple cases where a ZPIC contractor conducted a site visit at the provider’s address listed on the CMS-855, but for one reason or another, the office was locked and was not staffed at the time of the visit, thereby giving rise to a revocation action. As reflected under 42 CFR §424.535(a)(1)-(14), there are fourteen regulatory bases for revocation that may be relied upon by the government. This article focuses on only one of these reasons for revocation – a provider’s failure to notify Medicare of a change in its practice location. Notably, there are several regulatory bases that may be cited when revoking a provider’s billing privileges for this infraction, each of which are briefly discussed below. “The provider or supplier is determined to not be in compliance with the enrollment requirements described in this subpart P or in the enrollment application applicable for its provider or supplier type, and has not submitted a plan of corrective action as outlined in part 488 of this chapter. The provider or supplier may also be determined not to be in compliance if it has failed to pay any user fees as assessed under part 488 of this chapter. (i) CMS may request additional documentation from the provider or supplier to determine compliance if adverse information is received or otherwise found concerning the provider or supplier. Under this basis for revocation, CMS or one of its contractors typically alleges that a provider has violated an enrollment requirement listed on the enrollment application or currently in Medicare’s electronic records system. Although most revocation actions pursued under this regulatory provision are based on a licensure-related violation, the scope of the provision is broad enough to cover situations where a provider has failed to meet its obligations to report a change in practice location in a timely fashion. (i) No longer operational to furnish Medicare-covered items or services. As previously indicated, both CMS contractors are actively conducting site-visits of Medicare providers and suppliers in an efforts to better ensure the program integrity of the Medicare Trust Fund. These site-visits are expected to intensify, not subside in 2018. It is therefore essential that you understand your obligations under the regulations to qualify as an “operational” entity and to properly notify Medicare of any changes to your enrollment status. As 42 C.F.R. §516(d)(1)(ii) and (iii) describes, physicians, nonphysician practitioners, and their organizations must report any adverse legal action or change in practice location to their Medicare contractor within 30 days. If a provider that has failed to meet this reporting requirement is subject to having their Medicare billing privileges revoked under 42 C.F.R. §424.535(a)(9). Simply put, if your Medicare billing privileges are revoked, you will be barred from participating in the Medicare program from the date of the revocation until the end of the re-enrollment bar that has been identified in the revocation letter. The re-enrollment bar lasts from 1 – 3 years. The length of the re-enrollment bar depends on the severity of the reason for the underlying revocation. The re-enrollment period begins 30 days after the provider receives the notice of revocation letter from CMS. Under 15.1.1 of the MPIM, the definition of the term “Final Adverse Action” includes a “Medicare-imposed revocation of any Medicare billing privileges.” More than likely, each of your private payor participating agreements includes a requirement that you notify the payor within 30 days of any adverse action. If for some reason your particular contract does not include this requirement, it is important to remember that all licensing boards, payors and hospitals have access to the NPDB and regularly submit queries on their staff or licensees. Depending on the reason for revocation, these organization may choose to pursue a reciprocal action. As reflected in Section IV above, the business impact of a revocation action on your practice can be devastating. If you are facing a revocation action, we strongly recommend that you engage experienced health law counsel to represent you in the process. Unlike the traditional Medicare administrative appeals process, the Medicare revocation appeals process has abbreviated timeframes and is highly restrictive with respect to the introduction of evidence and arguments. Having said that, our attorneys have been very successful in working directly with CMS to resolve many of these revocation actions to the satisfaction of our clients and achieve a result that likely would be unavailable through the traditional revocation appeals process. Preliminary Appeal Determination: Can We File a Corrective Action Plan (CAP)? In limited circumstances, if a provider’s Medicare billing number has been revoked, it may be afforded an opportunity by CMS to take remedial action to correct the deficiencies that were the basis for the revocation action. After the effectuation of the December 2014 Final Rule, only provider’s whose Medicare billing privileges have been revoked due to non-compliance under 42 CFR 424.535(a)(1) are entitled to submit a CAP. The other thirteen regulatory bases for revocation are not eligible for CAP remediation. To the extent that your revocation action falls within category, the CAP must be submitted within 30 days of the date of the revocation notice and must provide evidence that the provider is now in full compliance with its applicable obligations. If the provider can demonstrate compliance, CMS will reinstate the provider’s billing privileges. If the CAP is denied, the provider can still exercise its appeal rights under Part 498. Importantly, the submission of a CAP does not “stay” your appeal deadlines. More than likely, you will therefore pursue a dual-track approach is challenging the revocation action. Appeal Level I: Reconsideration. The first level of appeal for a provider to contest the evocation of its Medicare billing privileges is known as the “Reconsideration” level. A reconsideration request must be submitted within 60 days from receipt of the notice of initial determination. Take care, some appeals will be filed with the CMS-PEOG while others must be filed with MAC. Any documentary evidence a provider wants considered by the hearing officer assigned to their case must be submitted at this level of appeal. If a provider later wants to submit documentary evidence into the record, an Administrative Law Judge (ALJ) will require that the provider show “Good Cause” exists for the late submission of the evidence. “Good Cause” is rarely found to exist absent evidence of an Act of God that prevented earlier submission. Appeal Level II: Administrative Law Judge (ALJ) Hearing. Should you not prevail at the reconsideration level of appeal, you can seek a hearing before an ALJ of the HHS Departmental Appeals Board, Civil Remedies Division. Requests for an ALJ hearing must be submitted within 60 days from the date of the reconsideration decision. The ALJ hearing is like a “mini-trial.” The government will be represented by an attorney assigned by your HHS Regional Office of General Counsel. If the facts in the case are contested, both sides will typically submit briefs, introduce evidence and present witness and / or expert testimony. If both sides agree as to the basic facts in the case, the ALJ will often issue his / her ruling based on the written record. Appeal Level III: Departmental Appeals Board (DAB) Hearing. Both the provider and CMS may contest a decision of the ALJ. Should a party choose to do so, they must request review of the ALJ’s decision by the Departmental Appeals Board, Appellate Division within 60 days of the date of the ALJ’s decision. Importantly, this is the end of the proverbial line administratively. If a provider is dissatisfied with the DAB’s ruling, it must seek judicial review. Appeal Level IV: Judicial Review. If a provider wishes to challenge the decision of the DAB, it must file a civil action in U.S. District Court within 60 days of the date of the DAB decision. If a provider can show “Good Cause,” the DAB is permitted to extend the civil action filing deadline. The revocation of a provider’s Medicare billing number often comes as a shock. It is never expected and few providers are prepared to effectively respond to the challenges presented by the hyper-strict requirements of the revocation appeals process. It is important to keep in mind that the appeals process isn’t meant to provide a level playing field for a provider to argue its case. Unfortunately, the rules are skewed in favor of CMS from the very start. It is therefore essential that you take steps to challenge the revocation of your Medicare billing privileges. Unless you are skilled in responding to these types of adverse actions, it is likely in your best interests to engaged experienced health law counsel. Robert W. Liles, J.D., M.B.A., M.S., is a former Federal prosecutor and an experienced health lawyer. Robert and the other lawyers at Liles Parker, PLLC, represent health care providers and suppliers around the country in connection with Medicare revocation actions. If you or your practice have been had their Medicare billing privileges revoked, please give Robert a call for a complimentary consultation: Please call: 1 (800) 475-1906. As defined under 15.1.1 of the MPIM, the term “Revocation” means that the provider or supplier’s billing privileges are terminated. CMS-855A – Medicare Enrollment Application for Institutional Providers; CMS-855B – Medicare Enrollment Application for Clinics, Group Practices, and Certain Other Suppliers; CMS-855I – Medicare Enrollment Application for Physicians and Non-Physician Practitioners; CMS-855S – for DME suppliers. See 42 C.F.R. § 424.516(d)(1)(iii). 42 C.F.R. §§ 424.510(d)(8), 424.515(c), 424.517(a). GAO-18-88. “CMS Needs to Fully Align Its Antifraud Efforts with the Fraud Risk Framework,” December 2017. See footnote 62. 42 C.F.R. §§ 405.800(b)(2); 424.535(a)(5)(i), (g). 73 Fed. Reg. 69,725, 69,865 (Nov. 18, 2008) (emphasis added). If a revocation actions is based on an “Abuse of Billing Privileges” under 42 CFR 424.535(a)(8), the initial level of appeal (Reconsideration) will be filed directly with CMS rather than with the provider’s MAC. (May 8, 2014): Healthcare providers choosing to participate in the Medicare program are increasingly subject to audit by private contractors working for the Centers for Medicare and Medicaid Services (CMS). In recent years, Zone Program Integrity Contractors (ZPICs) have been especially active in their review and audit of individual physician practices, multidisciplinary clinics, home health agencies, hospices, skilled nursing facilities and durable medical equipment suppliers. As discussed below, ZPIC program integrity audits are increasing in both number and scope around the country. There are a number of audit-related functions that CMS has contracted with ZPICs to perform. A list of the more frequent actions taken by ZPICs over the last are set out in this article. Conducting a “probe” sample audit of your previously paid claims. Conducting a larger, allegedly statistically relevant audit of your previously paid Medicare claims. Depending on the circumstances, the ZPIC will typically extrapolate the damages identified to the entire universe of paid claims. Conducting an unannounced visit and audit of your company. Interviewing beneficiaries regarding the care they have received and whether the services were medically necessary (e.g. is the patient “homebound”). Placing your practice or organization on prepayment review. Recommending to CMS that your Medicare payments be suspended. Recommending to CMS that your Medicare number be revoked. Making a referral to the Health and Human Services, Office of Inspector General (HHS-OIG) for potential investigation of civil or criminal liability. Making a referral to the U.S. Attorney’s Office (USAO) for possible investigation of civil False Claims Act violations or for criminal prosecution. II. How are ZPIC Audits Initiated? 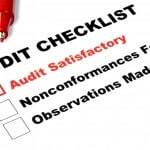 Importantly, ZPIC reviews and audits do not randomly occur. In most instances, they are driven by the results of data mining analyses conducted by the contractor. ZPICs also target providers based on complaints from disgruntled former employees, unhappy beneficiaries and competitors. A ZPIC may use data to detect high frequency of certain services as compared with local and national patterns, trends of billing, or other information that may suggest the provider is an outlier. Employee or beneficiary complaints to the Office of Inspector General hotline, fraud alerts, or even directly to the ZPIC can also trigger an audit. A Medicare Administrative Provider (MAC) or other contractor, as well as and law enforcement agencies, may alert ZPICs. III. What are the Primary Differences Between ZPICs and RACs? Unlike Recovery Act Contractors (RACs), ZPICs are not paid on a contingency fee basis. Instead, they competitively compete for one of the few ZPIC contracts that are periodically awarded. Additionally, they are eligible to receive “performance bonuses.” Notably, ZPIC auditors are not limited to only auditing claims paid in recent years, Nor are they limited in the number of claims that may be audited or the number of documents that can be requested. This “no-holds barred” approach can prove both burdensome and costly for providers who have been targeted by ZPICs. With the graying of America, the number of seniors being treated by health care providers has steadily grown. As a result, Medicare beneficiaries constitute a large percentage of many providers’ practices. Moreover, many physician practices, home health agencies, DME companies and hospice companies almost exclusively care for Medicare beneficiaries at this time. It is therefore essential that providers develop and implement an effective Compliance Plan that has been designed to assist the provider in staying within the four corners of the law. The failure to do so can result in significant overpayments, being placed on prepayment review, suspension, or even criminal referral, if your organization is subjected to a ZPIC program integrity audit. Since these actions typically delay payment or place payment on temporary hold, a provider who greatly relies on Medicare income can quickly find that the practice has been forced into bankruptcy. ZPIC Audits of Chiropractor-Owned Multidisciplinary Clinics are Increasing. (October 14, 2013): Over the last six months, we have noted a significant increase in the number of audits initiated against Chiropractor-owned multidisciplinary clinics. Typically, these integrated medical practices and clinics employ at least one Chiropractor (typically in an ownership or managerial capacity), along with multiple Doctors of Medicine (MDs), Doctors of Osteopathy (DOs). Physician-extenders such as Nurse Practitioners (NPs) and Physician Assistants (PAs) are also commonly employed in these multidisciplinary practices and clinics. The purpose of this article is to examine Chiropractor-owned multidisciplinary clinics which employ MDs, DOs and physician extenders in order to provide a wide range of care and treatment services. While there are a number of benefits to such a model, both State regulatory entities and Federally-contracted Zone Program Integrity Contractors (ZPICs) working for the Centers for Medicare and Medicaid services (CMS) have shown their concern regarding these organizations. Depending on the jurisdiction, a number of State regulatory entities have questioned the appropriateness of the model itself. ZPICs and other CMS Medicare contractors have initiated (or, in some cases, are in the process of initiating) a review or audit of various claims submitted to Medicare for coverage and payment. I. Why have Chiropractors Worked to Integrate Other Medical Services Into Their Practice? Multidisciplinary clinics which also offer complimentary and alternative medicine therapy options. Industrial medicine clinics (often focusing on Workman’s Compensation cases). Orthopedic clinics focusing on back injuries, spinal compression problems and victims of automobile accidents. Chiropractic practices choosing to transition over to a multidisciplinary model have often found that they are better equipped to address the health problems of their patients. This is often due to the fact that an integrated DC / MD practice typically greatly expands the scope of care and treatment services available to patients. This multidisciplinary approach provides patients with a convenient one-stop care and treatment option. From a financial standpoint, Chiropractor-owned multidisciplinary clinics have also found that this business model opens up a number of previously-unavailable opportunities. As you are aware, only a few chiropractic services qualify for coverage and payment under Medicare. While private payor plans typically cover a somewhat wider scope of services, many Chiropractors have essentially built their business on cash-pay patients. The addition of MDs, DOs and physician extenders has permitted integrated practices to expand their scope of medically-reimbursable services, many of which now qualify for coverage and payment by Medicare and private payor programs. While there are both patient-care and financial benefits to the integrated, multi-disciplinary model, there are also a number of challenges you should consider prior to setting up this type of practice or clinic. Depending on the State, it may be illegal for anyone other than a medical physician to own a medical practice. For example, many jurisdictions still prohibit the “Corporate Practice of Medicine.” In such States, it is illegal for a corporation to practice medicine. Moreover, a corporation cannot employ a physician to provide medical care and treatment services. Although every State is different, if your State prohibits the Corporate Practice of Medicine, it may be against the law for a corporation or for a non-physician individual (including a Chiropractor) to own or control a physician practice or clinic which provides professional physician services. Therefore, we strongly recommend that prior to setting up a Chiropractor-owned, multidisciplinary practice or clinic, you should contact a qualified health lawyer to assist you maneuvering through the myriad statutory and regulatory requirements governing this complex area of law. Several lawyers here at Liles Parker can assist you in addressing this issue. As a final point in this regard, should you choose to set up an integrated practice or clinic, it is essential that you have a full understanding of both your State’s Chiropractic Practice Act and the Medical Practice Act governing the physicians you intend to employ. In recent months, many Chiropractor-owned multidisciplinary clinics have been advised that their organizations will be placed on prepayment review or that their prior-paid claims are being be subjected to a postpayment audit by a “Zone Program Integrity Contractor” (ZPIC), such as AdvanceMed, Health Integrity, SafeGuard Services, NCI or Cahaba. As with other health care providers, most of these CMS-contractor audit actions have been generated as a result of data-mining. Other reasons for audit and / or review have included: patient complaints, competitor complaints and referrals from State Medical Boards. A minority of cases have also included audit initiatives focusing on specific Evaluation & Management (E/M) levels and / or perennially-problematic modifiers, such as modifier 25. Modifier 25 audits examine whether a “significant, separately identifiable E/M service” was provided by the same physician on the day that a separate, billable procedure was also provided. Regardless of the reason for audit, if your integrated practice or clinic is audited, it is essential that you engage qualified health law counsel to advise you on your options for responding to an inquiry by a ZPIC. (2) It is often helpful to engage qualified health law counsel to review your claims and generate a report that can be sent to the ZPIC, pointing out that the claims do, in fact, qualify for coverage and payment. (3) Think outside of the box—no provider can survive on prepayment review over a long period if a significant portion of their payor mix is Medicare. Contact your health law counsel to discuss possible options for seeking remedial action to have the prepayment review lifted. (1) Using statistical sampling and extrapolation. While the Medicare Program Integrity Manual sets out the basic requirements for a ZPIC to conduct a statistical sampling, ZPICs have been permitted to use sampling methodologies that differ from those prescribed by CMS. (2) ZPIC reviews have often alleged significant claims coverage concerns. Identified error rates of 100% by ZPICs are not uncommon. They then seek a full refund of all claims submitted by an individual provide. (3) Multiple errors often identified. Due to the massive amount of minute technical requirements imposed on providers, ZPICs are often able to identify and allege multiple technical and substantive errors in many of the claims which they review. Medicare Revocation Actions: Over the last year, we have seen a sharp increase in the number of Medicare revocation actions taken. The reasons for revocation have varied but have typically been associated with alleged violations of a health care provider’s participation agreement. In some cases, the ZPIC contractors found that the provider had moved addresses and had not properly notified Medicare. In other cases, a health care provider was alleged to have not been cooperative or refused to participate in a site visit. As a participating provider in the Medicare program, your organization must fully meet each of its obligations under the agreement in order to remain in the program. ZPIC Referrals for Civil and Criminal Enforcement: ZPICs are actively referring health care providers to the Department of Health & Human Services, Office of Inspector General (OIG) (which can in turn refer a case to the Department of Just (DOJ) for possible civil and / or criminal enforcement) when a case appears to entail more than a mere overpayment. However, just because a referral is made doesn’t mean that it will be prosecuted. In many instances, OIG and / or DOJ will decline to open a case for a variety of reasons (such as lack of evidence, insufficient damages, etc.). What Sources of Coding / Billing Data are used by ZPICs? ZPICs are required to use a variety of proactive and reactive techniques to identify and confront any potentially improper or fraudulent practices. As set out in Chapter 2 of the Medicare Integrity Policy Manual (MIPM), ZPICs have access to and utilize a wide variety of data sources. Chiropractor-owned multidisciplinary practices and clinics currently appear to be under the proverbial microscope. While there is little, if any, action that can reduce your likelihood of being targeted for an audit due to data-mining, there are a number of effective steps that you can reduce your risk of liability if an audit or investigation is initiated. The design, implementation and adherence to provisions set out in an effective compliance plan can greatly improve your efforts to fully meet your statutory and regulatory requirements under the law. Robert W. Liles, JD, MBA, MS, serves as Managing Partner at the health law firm of Liles Parker, Attorneys and Counselors at Law. Robert represents Chiropractors, Physicians and other health care providers around the country in connection with State Medical Board actions, Medicare audits and other health law issues. Please give Robert a call for free consultation. He can be reached at: 1 (800) 475-1906. Zone Program Integrity Contractors (ZPICS) such as AdvanceMed, Health Integrity, SafeGuard Services, NCI or Cahaba are contracted to work for the Centers for Medicare and Medicaid Services (CMS). (January 3, 2013): Zone Program Integrity Contractors (ZPICs) are aggressively relying on prepayment reviews in their efforts to identify and deter improper coding and billing practices. Why has this recent audit activity occurred? As the Government Accountability Office (GAO) recently reported, prepayment edits saved Medicare at least $1.76 billion in fiscal year 2010. While these savings were substantial, GAO noted that savings could have been even greater if the use of prepayment tools had been expanded. Notably, Recovery Audit Contractors (RACs) have also now jumped on the proverbial non-random prepayment review bandwagon and have been authorized by the Centers for Medicare for Medicaid Services (CMS) to utilize this audit tool. It is therefore essential that home health agencies, physician practices and other health care practices develop and implement an effective Compliance Program, designed to assist them in their efforts to endure that claims billed fully comply with applicable rules and regulations. With the passage of the Medicare and Medicaid programs in 1965, the Centers for Medicare and Medicaid Services (CMS) became authorized to perform a myriad of Medicare program functions, either directly or by contract. Moreover, on August 21, 1996, the Congress enacted the Health Insurance Portability and Accountability Act of 1996 (HIPAA). Section 202 of HIPAA added section 1893 to the Social Security Act, thereby establishing the Medicare Integrity Program (MIP Program). This legislation also permitted CMS to contract with eligible contractors (such as Intermediaries, Carriers and Program SafeGuard Contractors) to perform program integrity activities. On December 8, 2003, Congress subsequently enacted the Medicare Prescription Drug, Improvement, and Modernization Act of 2003 (MMA). The MMA included a new subsection regarding both random prepayment reviews and non-random prepayment complex medical reviews. Today, prepayment reviews of Medicare claims are now conducted by ZPICs and RACs around the country. National or local claims data comparisons. An analysis of utilization practices. Government Accountability Office (GAO) reports. Department of Justice (DOJ) investigations. Regardless of the reason for review, once a ZPIC or RAC conducts a data mining run and identifies a likelihood of sustained or high level of payment error, the contractor will typically place a health care provider on prepayment review and immediately request supporting medical documentation in support of any claims submitted by the provider for payment. 1. Automated: An “automated” non-random prepayment medical review is one involving a review where decisions are made at the system level using available electronic information, without the intervention of contractor personnel. Importantly, automated non-random prepayment reviews do not disrupt a health care provider’s practice and do not typically require that any additional documents must be submitted. 2. Routine: A “routine” non-random prepayment medical review is limited to rule-based determinations performed by specially trained non-clinical medical review staff. As with “automated” reviews, a “routine” review does not typically result in any additional work for health care providers. In fact, most providers are unaware that their claims have been subjected to non-random prepayment medical review in this fashion. In fact, payments for covered, reasonable and necessary claims are paid without delay. 3. Complex: Generally, a “complex” non-random prepayment medical review involves that review and assessment of any and all supporting documentation associated a claim prior to deciding whether the claim qualifies for coverage and payments. Contractors do not typically place a health care provider on non-random complex prepayment review prior to conducting a “probe sample” (as opposed to a full-blown statistically-relevant sample) of the provider’s claims. A probe sample generally consists of an assessment of 20 – 40 claims. The purpose of a probe sample is to confirm that it appears that a problem exists (either in terms of documentation, medical necessity, billing or coding). In contrast to “automated” and “routine” non-random prepayment medical review, a “complex” medical reviews will, in fact, typically result in significant delays in having claims processed and paid. Typically, once a claim is submitted, a contractor will submit a request to the health care provider seeking any and all supporting documentation. This documentation is then reviewed by a qualified medical reviewer. In some instances, it has appeared that claims the documentation was forwarded to a second contractor for review. There is no “silver bullet” approach to getting off of prepayment review. There is no administrative appeals process in which to contest the placement of your organization on prepayment review. Be wary of consultants who claim to “know someone” that can have you removed from prepayment review. Once you have been placed on prepayment review, your first task is to figure out “why?” your claims were placed on this status to begin with. Were you placed on prepayment review because of your utilization practices, documentation deficiencies or another reason? Ultimately, getting off of prepayment review is just plain hard work. Over the years, our firm has been contacted by numerous providers whose approach consisted of “holding” their claims in the mistaken belief that the review would eventually be lifted, at which time they would submit their claims for payment. You need to understand – health care providers are placed on prepayment review because a ZPIC or RAC has reason to believe (rightly or wrongly) that their claims are not in full compliance with applicable coverage, documentation, medical necessity, coding or billing rules. The best approach to having a prepayment review lifted is to carefully analyze each aspect of your claims, compare your practices with those set out in the applicable rules and correct any deficiencies. Sounds simple doesn’t it? Unfortunately, it can be quite difficult, depending on the types of claims involved. Our firm has worked with a number of health care providers over the years, assisting them in getting removed from prepayment review and incorporating these steps into an effective Compliance Plan. Robert W. Liles is Managing Partner at the health law firm, Liles Parker, PLLC. With offices in Washington, DC, Houston, TX, McAllen, TX and Baton Rouge, LA, our attorneys represent home health agencies, physicians and other health care providers around the country in connection with Medicare / Medicaid prepayment reviews, post-payment audits, Compliance Plan reviews and state peer review actions. Should you have any questions, please call us for a free consultation. Robert can be reached at: 1 (800) 475-1906.